‘Off the Menu’ is a tale about a talented and feisty female chef in a small New Mexico town who falls for the unlikely heir Joel Flanagan of a Mexican fast-food franchise, played by the talented Santino Fontana (Frozen). In this new indie romantic comedy, Javiera (Dania Ramirez) is a single mother with an affinity for ingredients and a taste for flavor. Javiera is led to Joel through her daughter Sophia (Mackenzie Moss). The film focuses on the 90’s style approach of classic rom-coms, full of laughter, culinary flare, and breathtaking shots of New Mexico. Javiera (Dania Ramirez) struggles to move on from the heartbreak of her first love, which results in a reserved mother who tries to play both roles for her daughter. Her character embodies a self-driven, successful woman who takes no crap, an excellent fact that will resonate quite well with today’s audiences. Meanwhile, Fontana’s character Joel is just about the opposite. Joel Flanagan is the spoiled man-child who spends his life going through the motions and living off his father’s riches, until he’s forced to take responsibility and play a major role in his family’s fast food company. Javiera (Dania Ramirez) and Joel (Santino Fontana) embark on a journey of love that conveys a tale of two lost individuals simply trying to find themselves. The film is a great cinematic representation of themes such as: cultural appropriation, societal views on single mothers, relationships, and the beauty of the American Dream. PPLA: What was the motivation behind the developmental process of “Off the Menu” and was it inspired by anything in your personal life? JS: When my team and I began developing “Off The Menu”, I was inspired by Michael Pollan’s novel The Omnivore’s Dilemma to show how huge a role that food plays in all our lives. Joel’s family owns one of America’s largest fast-food chains, while our Chef Javiera has a farm-to-table approach to her melt-in-your-mouth-good cooking. This cultural detail was central to our story, and enabled our characters’ romantic journey to begin. PPLA: How does Dania Ramirez’s colorful and experienced background add to the believability of her character as the star of the film? JS: Dania is originally from the Dominican Republic, and she has spoken a lot about being an immigrant and her humble beginnings. It is this combination of grit and grace she possesses that helped us find Javiera’s character. She truly brings to life the strength and a fiery spirit of Javiera. Santino Fontana her co-star playing Joel, is a perfect match with equally gifted chops. PPLA: Do you think “Off the Menu” will resonate with diverse crowds and if so what is the most reletable element of the film? JS: Yes, I believe everyone loves a good love story, and ours is universal. Food is the glue that unites a small community, but also brings two different worlds together. PPLA: Can you speak to the cast and the which is notably over 50% female and Hispanic? Does this add to the authenticity of the film and the directing process? Were there areas where the cast offered new insight in terms of a varying viewpoint? JS: In the Hispanic community, women play a vital role in shaping the family traditions and values. With this in mind, the script created a great opportunity to cast strong Latin female actors. Of course, this added to the authenticity of the movie. There are 3 generations of women– “:” Cordelia, Javiera and Sophia. Both, Dania Ramirez and Maria Conchita Alonso influenced the scenes with their ideas, passion and vitality, that couldn’t have been written on the page. PPLA: Can you outline any initial hesitancies regarding the film’s resonance with a general audience due to its status as an indie film? JS: There was no hesitancy at all – My team and I recognized immediately the potential for this little story to resonate with any audience – and I think during these divided times audiences want an escape, and to be entertained – our film’s universal story and message about family, food and love will resonate with anyone. Having the film available on VOD & Cable On-Demand actually gives audiences more options to see the film than a theatrical run as they can enjoy it in the comfort of their own home at any time. PPLA: Why is “Off the Menu” timely? JS: Currently there is a strong foodie movement, or yearning if you will, of people wanting to try new things and eat healthier. Also, the characters in the movie reflect the strength and diversity in this country, which is something to be celebrated. JS: Making this film gave me a unique opportunity to share how food around the dinner table can bring the family together. Family meals are where we learn where we come from and what parents and children’s dreams are made of. This type of film is just not made much anymore, and I personally wanted to make something I would want to watch with my family. Using strong colors and inspiring settings helped me tell this story of love and food. I love working with talented actors that feel a deep passion for the project. That includes collaborating with great Composers, Set Designers, Wardrobe Stylists, Cinematographers and my Producers. 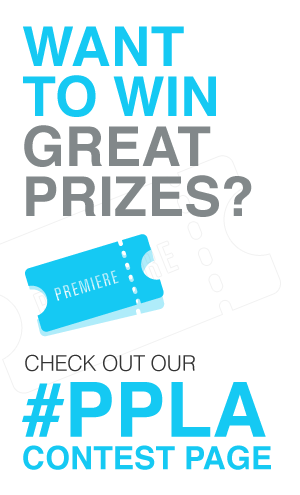 PPLA: Any other projects on the horizon for you that you’d like to share? JS: I’m developing a drama about people who walk away from their lives.